TURNER CONSTRUCTION + CLAYCO INC. 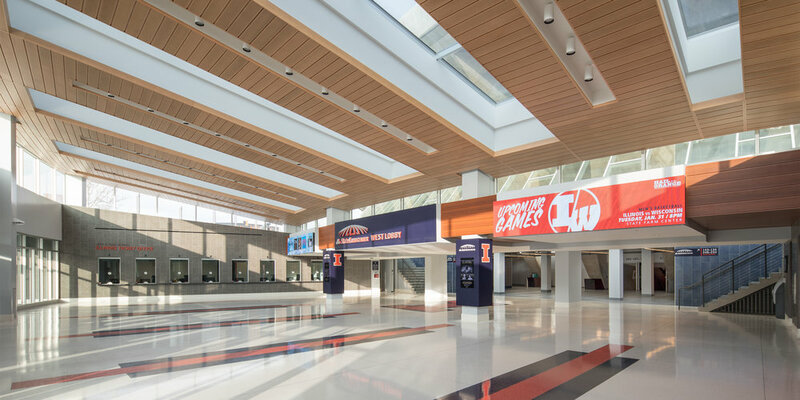 Celebrating the proud history and spirit of the 1959 designed Max Abramovitz mid-century modern icon, the re-imagined State Farm Center at the University of Illinois seamlessly integrates the comforts, technology, revenue generation and experience of a contemporary arena. A total transformation of the seating bowl and fan experience resolves existing sight line issues, introduces new premium products while aggressively attacking site circulation, building circulation, entry and arrival experience, level of service and accessibility challenges. 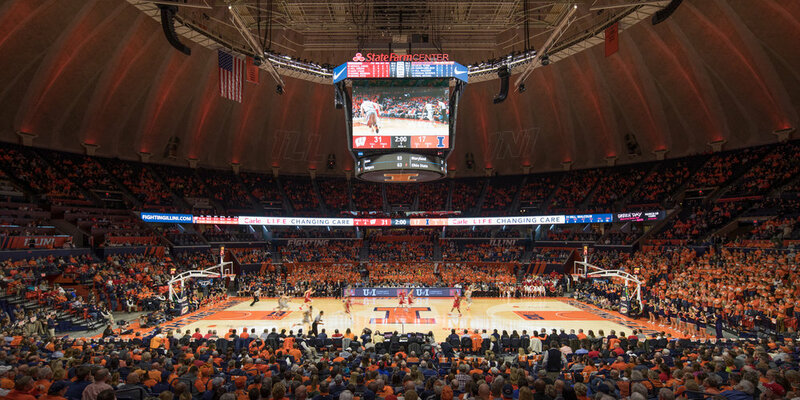 Additional improvements include new administrative ofces, an Illini Basketball Hall of Fame, dramatically improved concourses and the creation of four new hospitality lounges. A total replacement of mechanical systems and controls, the introduction of air conditioning, the replacement of all building lighting / controls and electrical distribution system were also part of the project scope. SFC is eligible for listing on the National Register of Historic Places and has received LEED Gold certification.